Tidus would be shakin' and bakin'! I remember fondly picking up my copy of Final Fantasy X for the PlayStation 2 back in 2003. (I also recall subsequently returning the copy I had because of a scratch on the disc that prevented me from progressing very far without certain game lock-up.) Everything about that game was impressive at the time, from its breathtaking visuals to its unique storytelling. Another important aspect of Final Fantasy X was its music; one particular song that stood out was its opening song, "To Zanarkand", a melancholy piano melody that continues to haunt many a player as a key recurring element of the game. 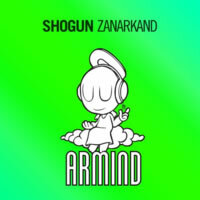 This song must have resonated with Shogun, a Taiwanese DJ currently stationed in the U.S. and signed with Armin Van Buuren's popular Armada Music label, as he has made it the basis for a trance single, surprising considering the emotional level of the source material. The Radio Edit wastes no time in getting to the meat of the song. Shogun has sped up the melody significantly, likely so as not to put his audience into an actual trance. He starts it off as the piano melody it once was alongside symphonic heavenly pads before switching to a more standard trance synth. Once the bass and the beat kick in for the main event, it will definitely be time to both dance and cry as the memories flood back of losing Tidus. Unfortunately, this is all there is. Shogun hasn't really added anything unique: it's more or less just a straightforward conversion into trance without his own melodic additions or complements. The Original Mix is also there for the length enthusiast, providing a much longer introduction filled with a spunky li'l bassline and some extra pads to lead the way. The melody is great and the song is indeed powerful and ear-catching, but I just can't help but think there could have been more to this track. Still, Final Fantasy X fans will likely gobble this up and play it in their car as they drive to the Burger Queen downtown and trance fans will get a kick out of it, too.